Radio stations across the U.S. And Canada provide crucial support to local children’s hospitals each year raising more than $50 million through the Radiothon program. 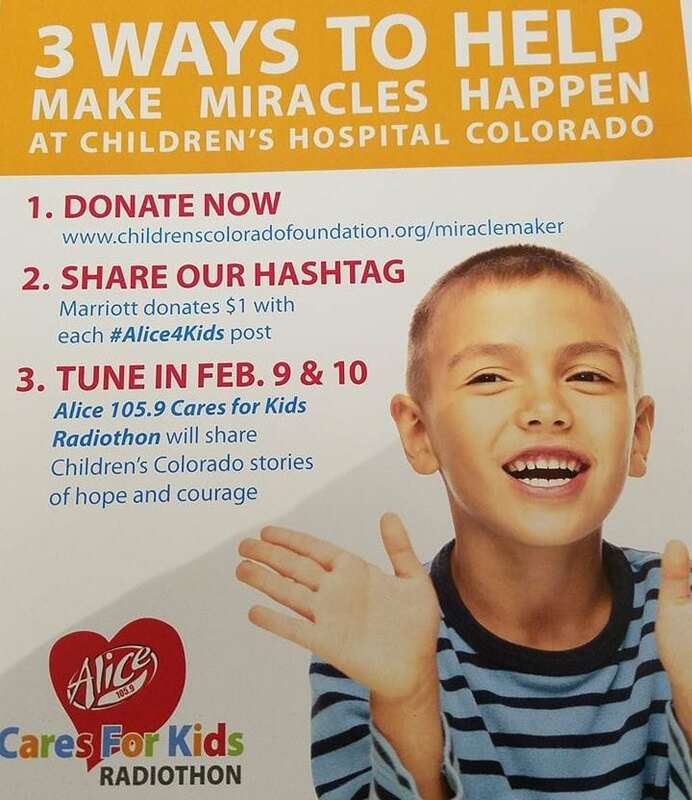 Listen live now to Children’s Hospitals Colorado radio partner, Alice 105.9 FM as they broadcast their Cares for Kids Radiothon February 9-10, during working hours. 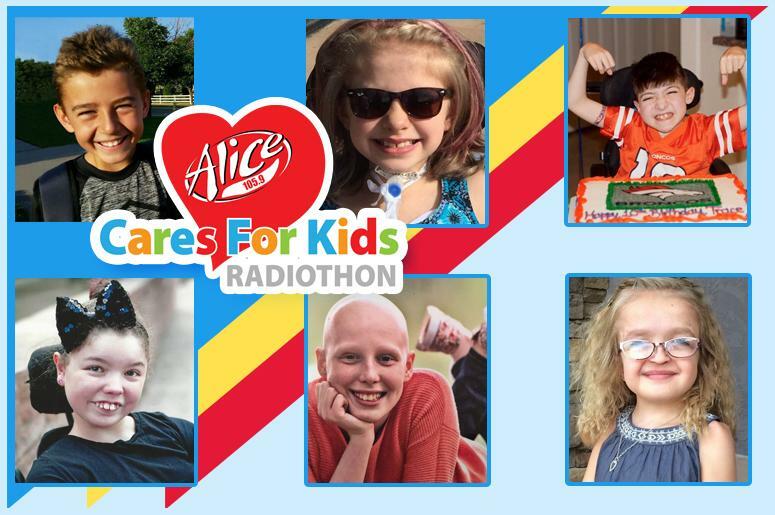 Meet the kids who will be featured throughout the Radiothon, listen to their inspiring stories and how Miracle Makers in the community are impacting their lives. Children’s Miracle Network Hospitals Miracle Million Club partners, REMAX, Sam’s Club and Marriott Hotels are also partnering with Alice 105.9. Marriott will donate $1 for every share of the #Alice4kids on social media.